Possibly the most complex of our historically inspired pieces. 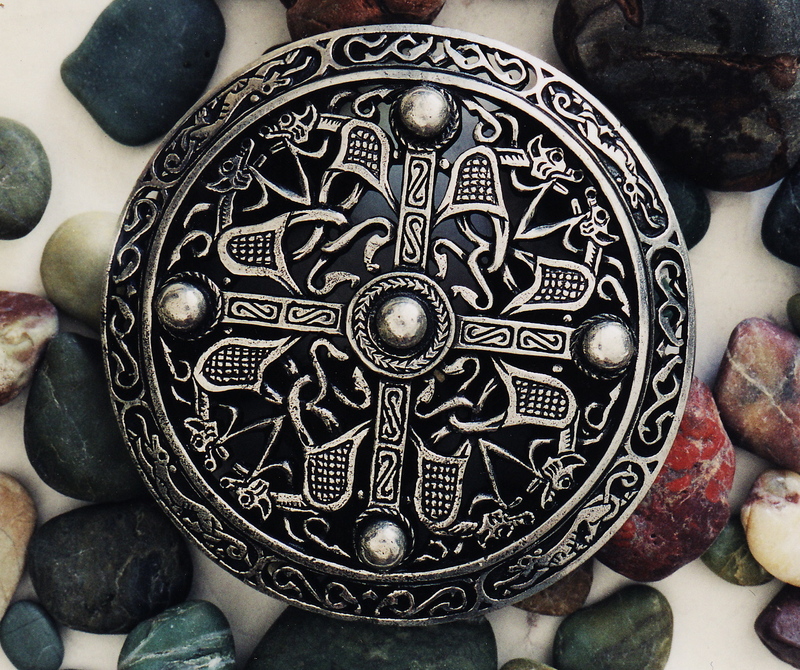 This piece is based on a combination of design elements from a hoard of Anglo-Saxon era pins excavated in Norfolk. 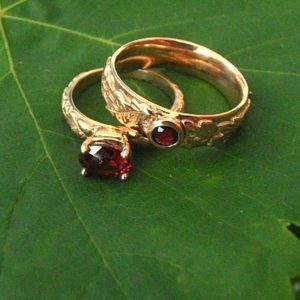 The originals probably date from the early ninth century (in the aftermath of the Saxon and Angle migrations, just prior to the Viking period) and were likely made by a single jeweler in a style now known as the ‘Trewhiddle’ style. This is a particularly classic example of re-interpreted early Anglo-Saxon design. At first glance this piece is splendidly tough (and actually is amazingly sturdy), but on closer examination the labor that went into it, and the planning necessary to combine the graceful elements of hand-worked tracery and sinuous dragon forms is even more impressive. We are proud to have been able to give new life to this complex masterpiece from a time of kings and miracles, dragons and monsters, magic and saints, vikings and sagas. 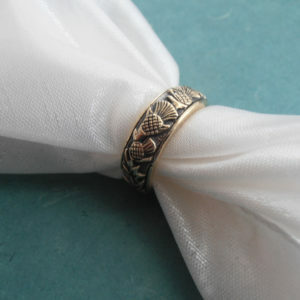 Like all of our Plaid Brooches this pin will hold the whole nine yards. 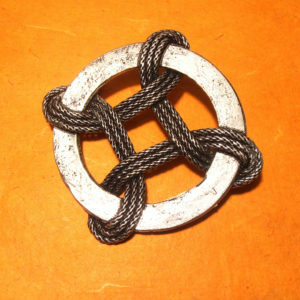 The detachable handmade nickel pin limits the strain on the cast front piece and makes it possible to wear as a pendant as well as a brooch. This piece is stunning when worn as a brooch or as a necklace. A version of this pin is also available set with natural stones (garnets, agates, aventurine, etc.) instead of metal bosses.